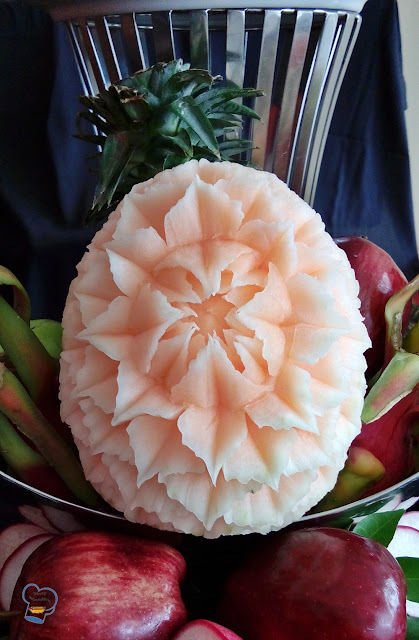 There has been a great interest and fascination for fruit carving among the staff at the main kitchen. 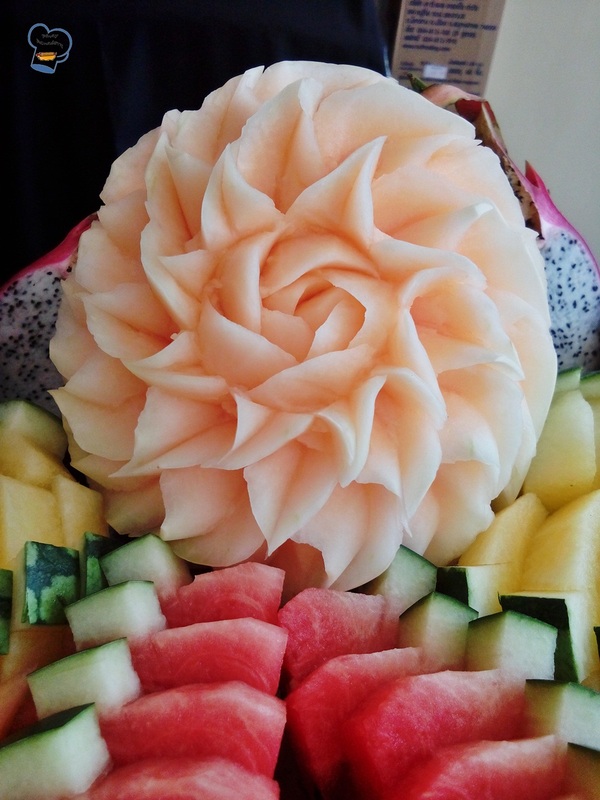 The resort's famous Sunday brunch features different carved fruit creations every week. The table centerpiece definitely adds a wow factor to the event. 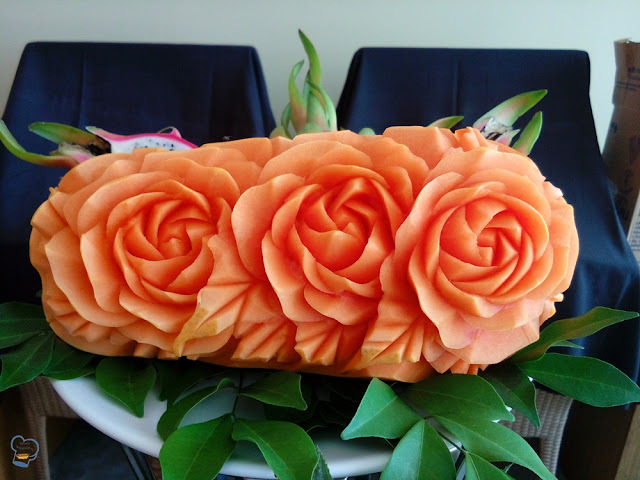 Here's the featured papaya carving creation last Sunday. On the base of the centerpiece was a cantaloupe carved into roses and surrounded with small papaya flowers and sliced fruits. 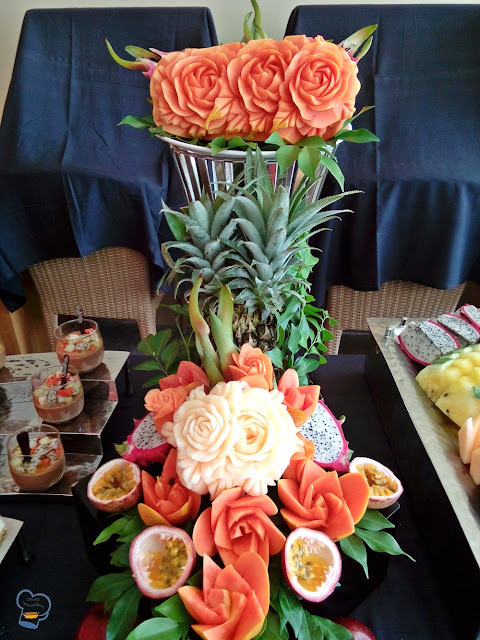 Besides the towering fruit centerpiece, the beautifully arranged fruit tray beside it highlights different designs of carved cantaloupe. 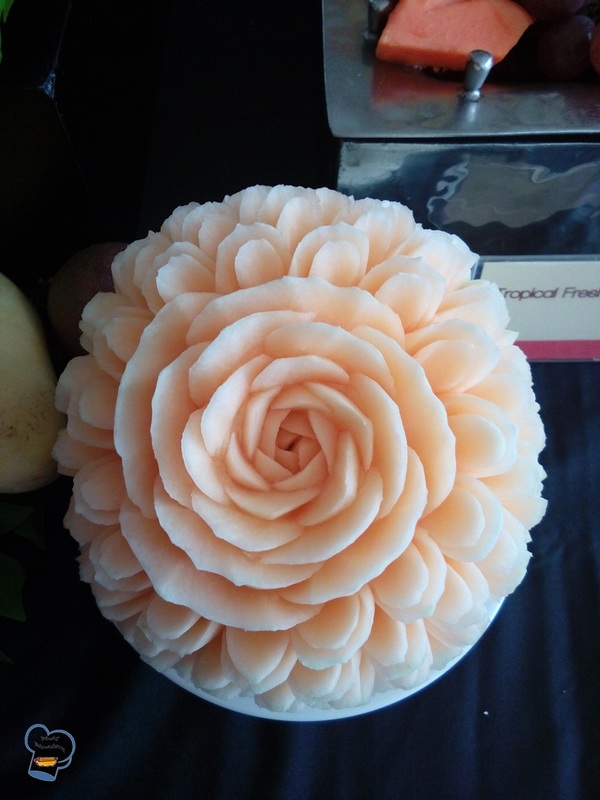 Wow, this is so beautiful papaya carving! I am in love with these photographs. 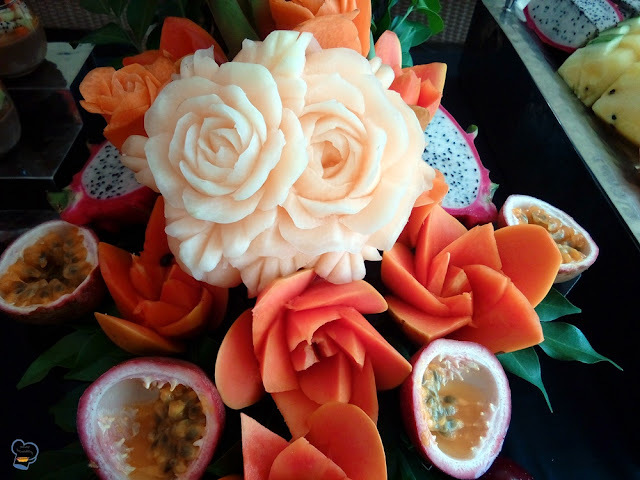 I also saw some beautiful fruit carvings in an event at some popular New York corporate events venues. Truly, their way of presenting the food in company parties is just great! !